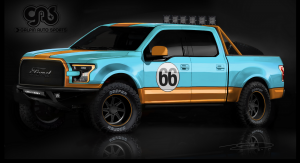 Ford’s lineup for this year’s SEMA show is impressive, with no less than 50 vehicles to be showcased by the automaker in Las Vegas. 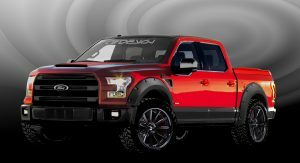 Among these, seven are based on the F-150 pickup truck, varying from high-performance street trucks to off-road adventure rigs. 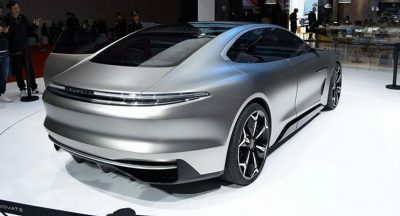 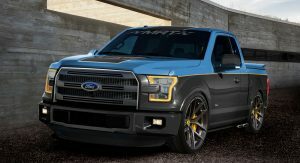 Probably the most intriguing of them is the one built by MRT, who paired a Tremec Magnum 6-Speed manual transmission to the 3.5-liter V6 EcoBoost engine. 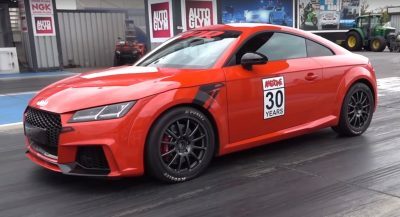 Other tuning bits include a large capacity intercooler, refined boost mapping for the turbos, a roll cage and race seats with 5-point harnesses. 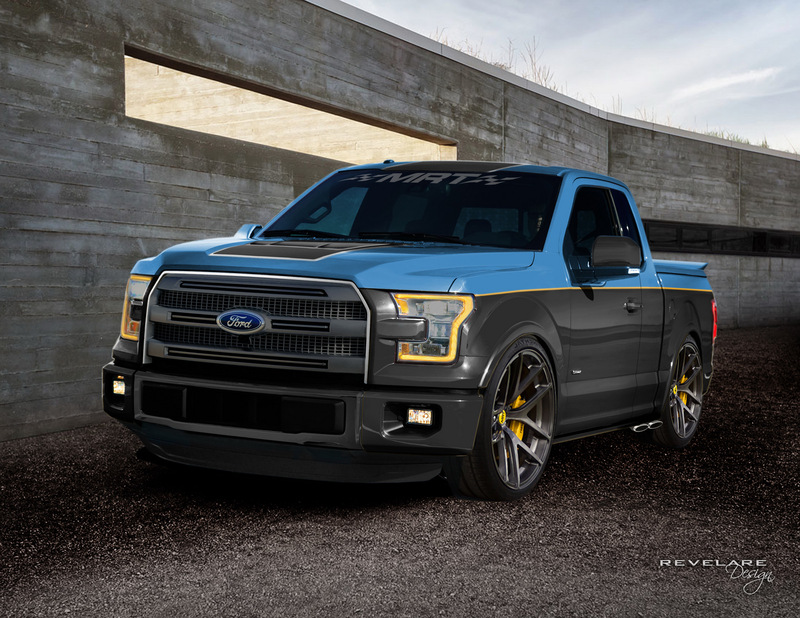 Styling-wise, MRT’s F-150 features a two-tone paint set up with a yellow pinstripe. 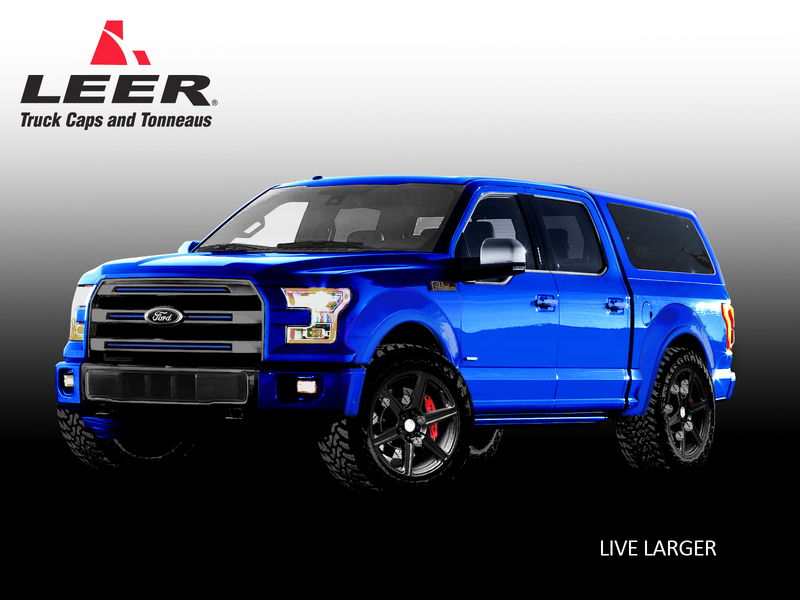 The Leer Edition Outdoorsman F-150 is a more utilitarian interpretation of Ford’s F-150 SuperCrew, featuring a covered bed, a modified interior with premium leather, more power as well as chassis updates to make it more capable off-road. 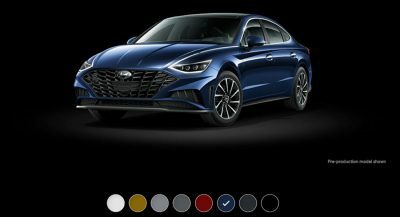 The gloss blue paint is accented with matte black elements both inside and out. 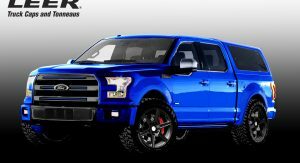 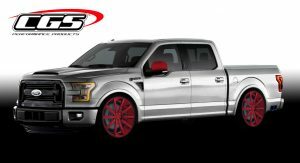 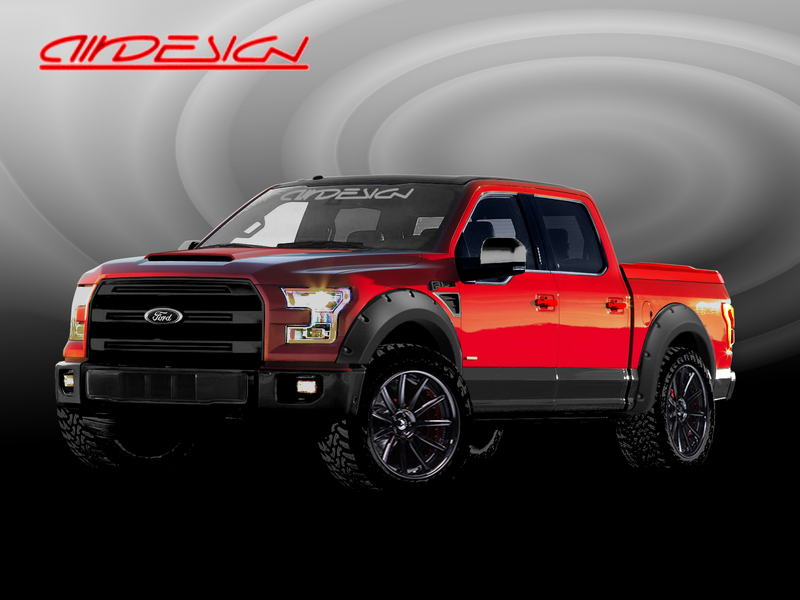 Roush Performance also will show its take on the F-150 with a 650hp performance version. 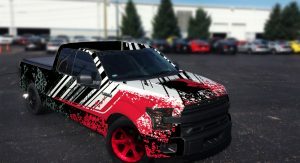 Powered by a supercharged 5.0-liter V8, the Roush Performance F-150 is a cross between a street truck and track support vehicle, “capable of tearing up the streets, drag strip or even race track.” The truck is fitted with a performance suspension kit as well as aggressive Power Stop drilled and slotted rotors. 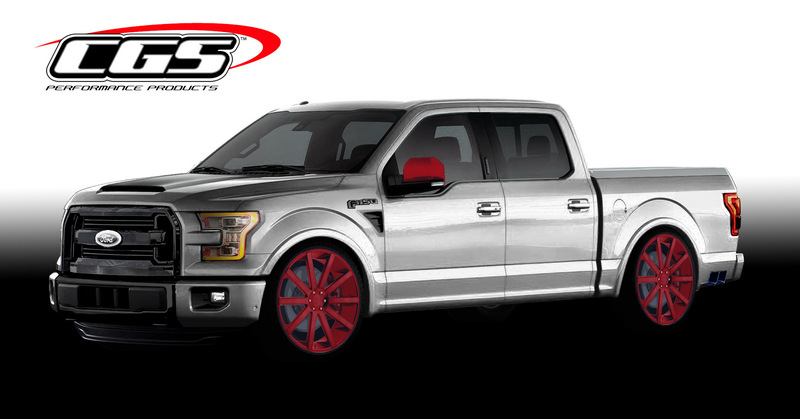 The CGS Performance Products F-150 stands out thanks to its huge 24-inch wheels and air suspension system. 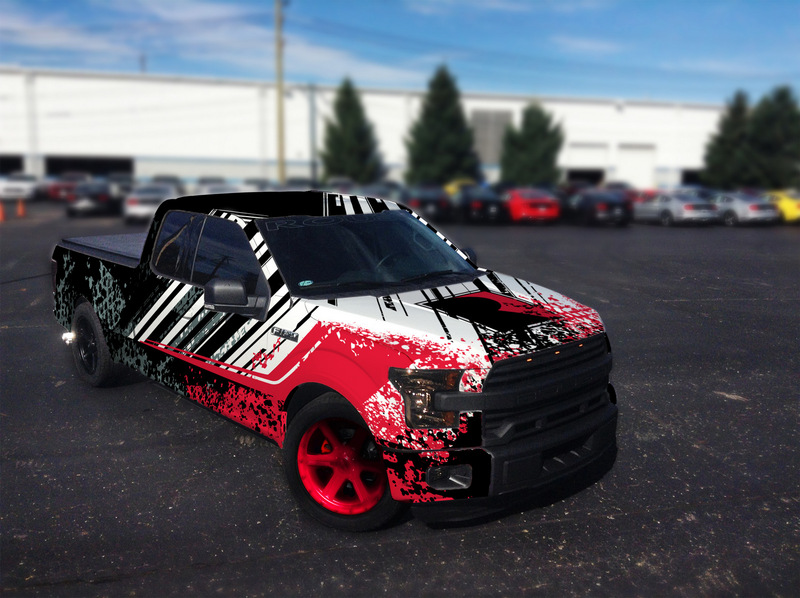 A throaty exhaust and cold air kit for the 3.5-liter V6 EcoBoost engine complete the package. 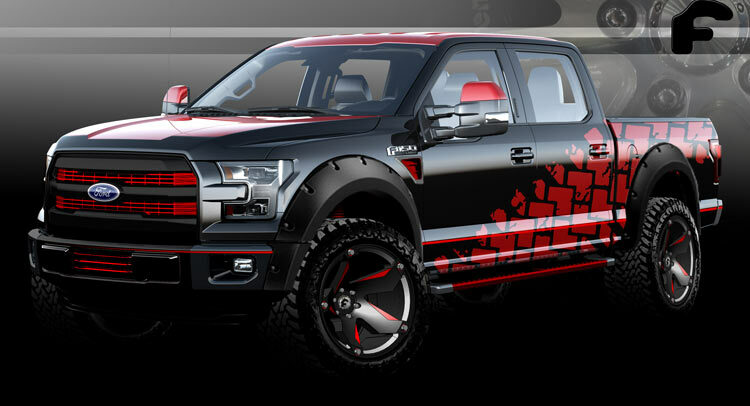 Probably the most spectacular-looking custom F-150 is the one created by Forgiato, which combines 24-inch wheels and meaty off-road Nitto tires with a black and red paint scheme. 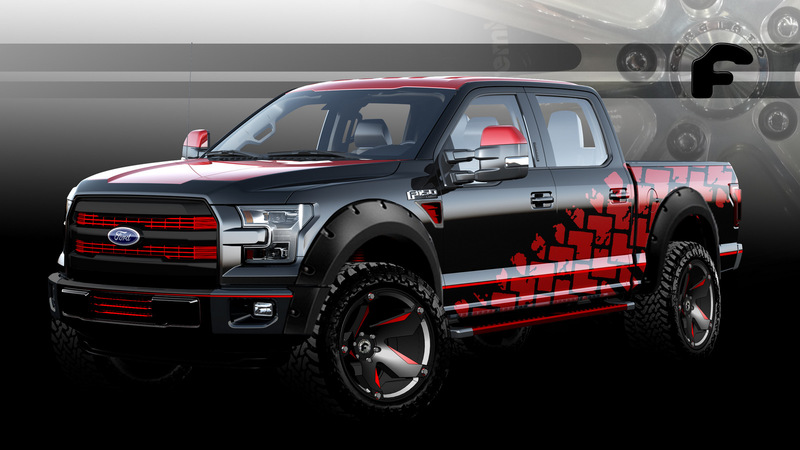 Under the hood there’s a supercharged 5.0-liter V8. 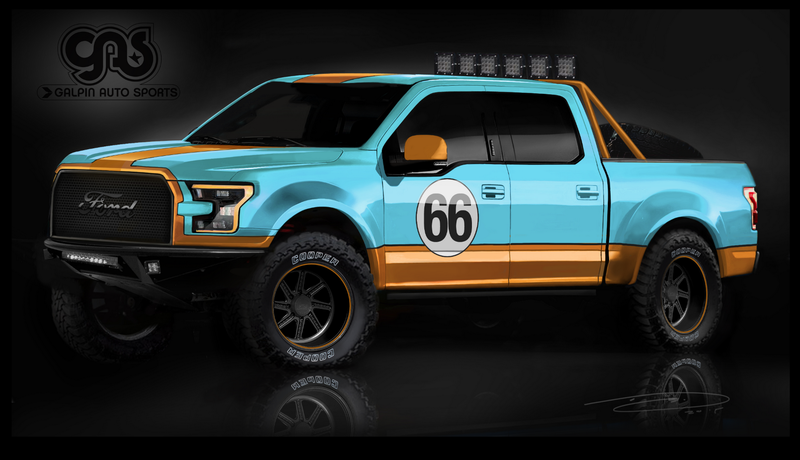 Finally, Galpin Auto Sports gave the F-150 a Gulf Oil livery, wider fenders that accommodate super wide 20-inch wheels and a coilover suspension setup.